The thing about social media is finding ways for all your different mediums to talk to one another. I’m not always very good at that. I have been doing my #365project #photoaday, but what I haven’t done is taken is taken the time to post it over here. Here’s my recap of the last few days… and since I know fb won’t bring all my pics over here, please click the link to see what I’ve been up to. 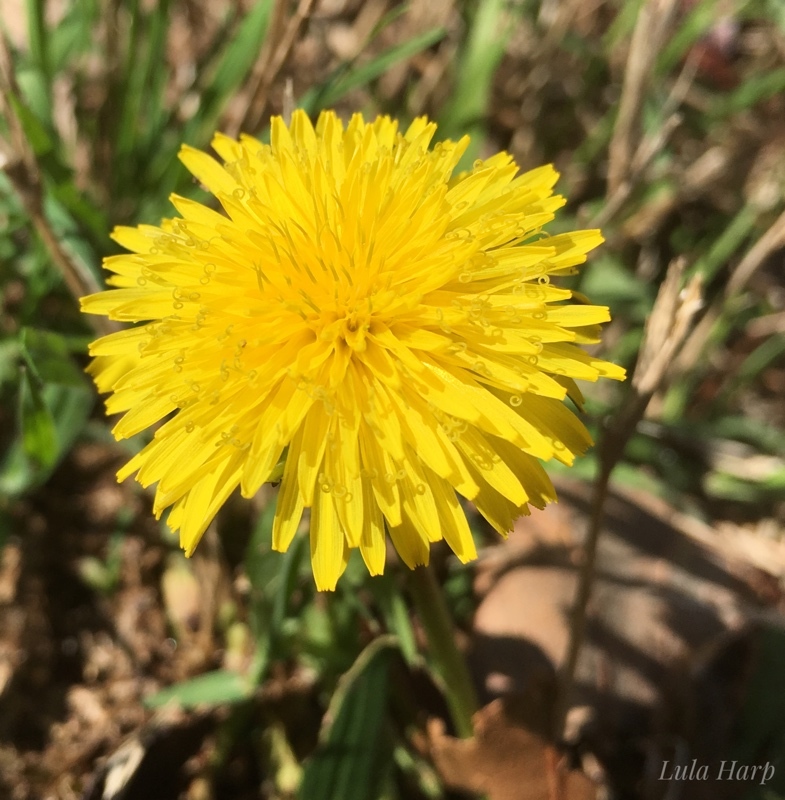 Friday was the dandelion. Since dandelion was the most recent Crayola crayon to retire, I decided to start there. I snapped this mid-morning with my iphone, and when I went back with my camera, it had closed up for the day. If you click to view it larger, you can see these neat little curly petals. 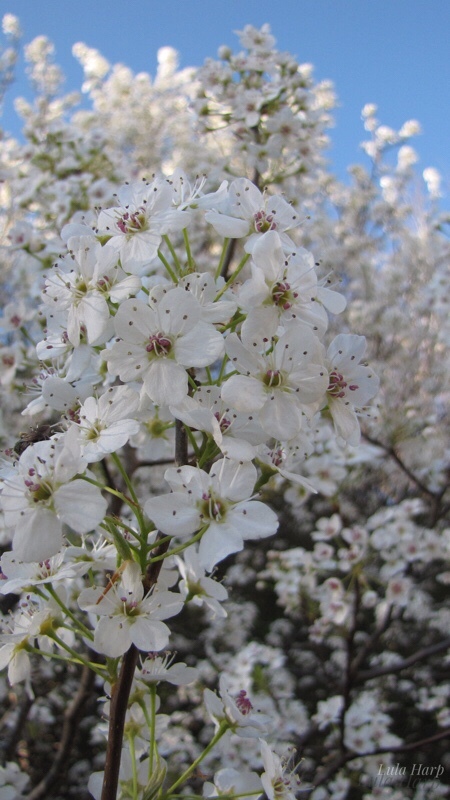 Friday was the white, blanco, blanc crayon, like the spring blossoms on the dogwoods. The trees are blooming right now and we enjoyed a beautiful spring day. The roller coaster weather continues though and we are going to have a few upcoming evenings dropping below freezing. A box of 24 crayons has a seemingly disproportionate number of blue, especially with them just adding a new blue. Upon first glance I have 4 identical blue crayons; but as soon as you color with them you see the difference is pretty vast. We had another beautiful spring day on Sunday. Everyone was wearing shorts and out in the park. The sky was a gorgeous blue dotted with perfect white clouds. I love the contrast to the dark trees. Today is brown. I started the day off with what I thought was going to be today’s color. Box in hand, I drove to and from work, eyes open for something interesting. The color I planned was tossed out the window when I spied something I hadn’t considered. Germantown, Tennessee is all about their horses. 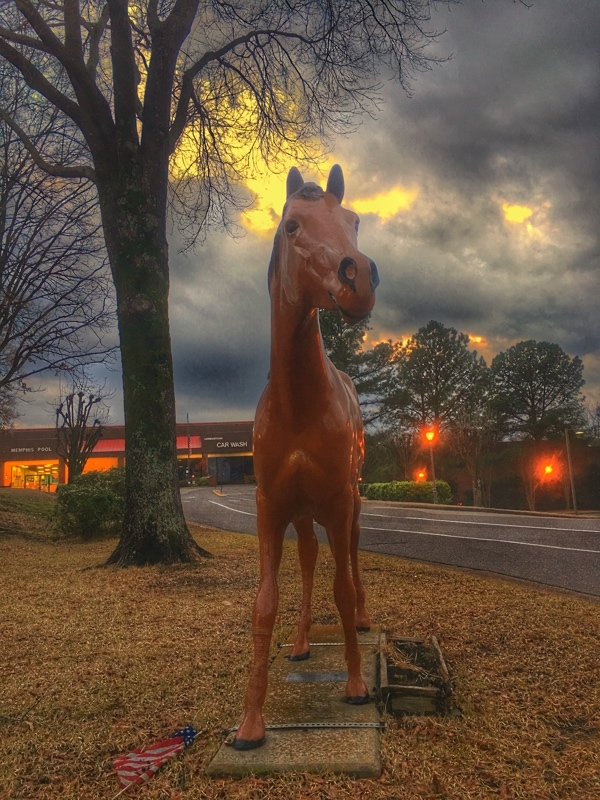 There are horse sculptures all over town, painted an array of colors. I wasn’t expecting to find one that was a nice normal brown. I warmed up the photo using snapseed. Don’t ask me my settings bc, honestly I have no clue. Filters are not my strength. I just play with them until I get an image and coloring I like. I liked getting the sky to glow behind him. I also like how the lights from the shop direct your eyes to him. Here’s to hoping you have a colorful week!